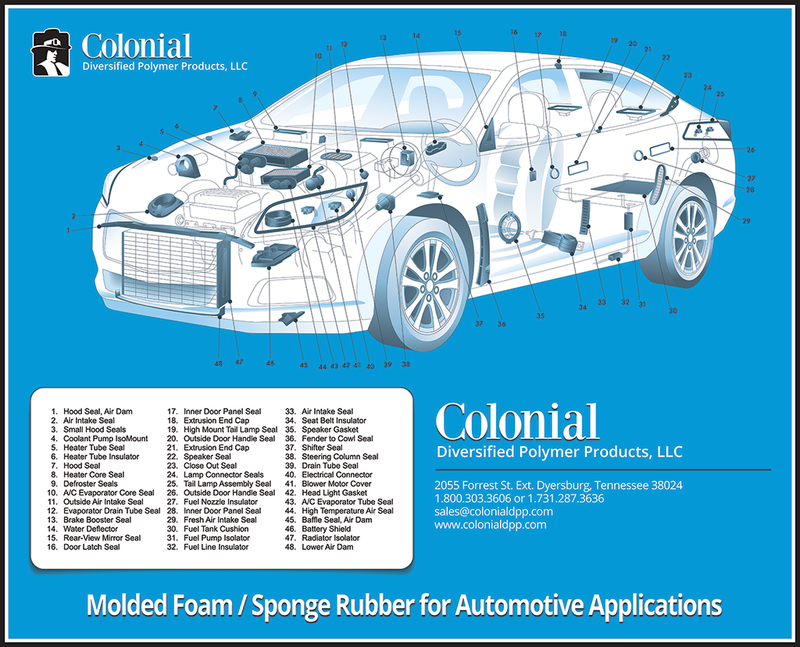 Colonial DPP manufactures high quality anti-fatigue and anti-slip mats. Our mats are made from a special closed cell rubber compound that produces a superior quality, long lasting mat that is non-absorbent and resistant to oil. 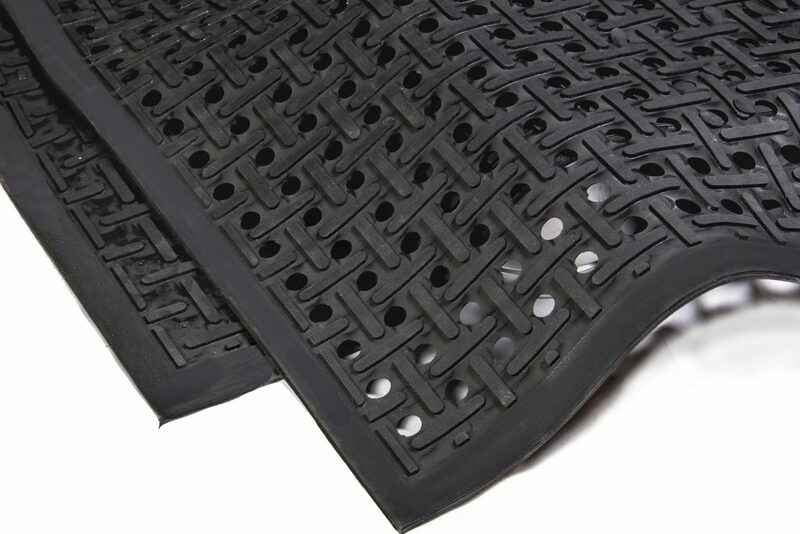 Drainage mats with holes, and scraper mats generally come in 3′ x 5′; 2′ x 3′; and 2′ x9′ standard sizes. Connectors are available to join multiple mats together. Colonial supplies linen companies, distributors, and other mat manufacturers who have their logo molded into our mats. Colonial’s extensive lab and formulating capabilities enable us to design and compound materials to meet a vast range of physical properties including resistance to chemicals, temperature and weather. Nitrile and EPDM are the most common types, in both sponge and dense.